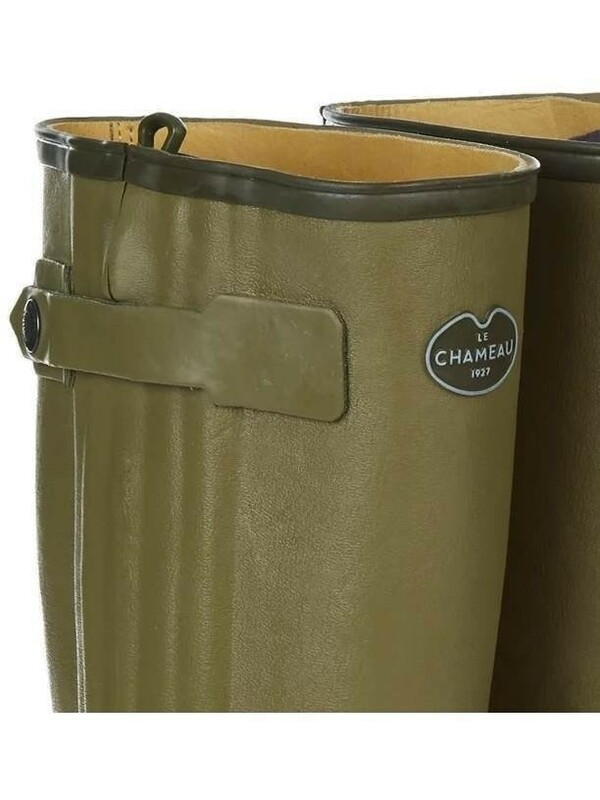 Fully lined in soft, full grain leather, and featuring a full length zip to the side of the calf, the Chasseur is the flagship boot in the Le Chameau range. The internal gusset around the zip housing ensures that the Chasseur remains 100% waterproof. Available in a variety of calf width fittings including Ladies Slim Fit (38cm), Standard Fit (41cm), Wide (43-44cm) and Extra Wide (46cm). Check our 'Choosing your size' guide for details on how to measure your calf to ensure the best fit. Fully lined in soft, full grain leather. Full length zip to make the boot as easy to put on and take off as a shoe; also improving the fit by closing the boot in around the heel and ankle giving support to the wearer and eliminating space for cold air to generate. The internal gusset around the zip housing ensures that the Chasseur remains 100% waterproof. Available in a variety of calf widths to ensure the perfect fit every time.